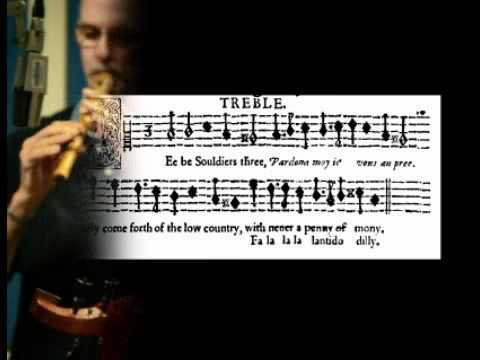 'Noël nouvelet' is a traditional French new year carol, originating in the early 15th century and becoming one of the most popular of the 16th century. The earliest complete source for the words is the Arsénal ms. 3653 in Paris, copied in the 1490s, a beautiful representation by a professional scribe for a high born family of the different types of noël or Christmas song in the French oral tradition. The Arsénal ms. does not give the tune, which did not appear in writing until the 17th century. The words used here are selected and translated from the 'Grande Bible des noels, tant vieux que nouveaux' ('Large Book of carols, both old and new'), published in 1721. The refrain, "Noël nouvelet, Noël chantons icy" means roughly, 'New Christmas song, Christmas song sing here!' The hymn writer John M. C. Crum made the tune more widely known by setting his hymn, 'Now The Green Blade Riseth', to it in 1928. 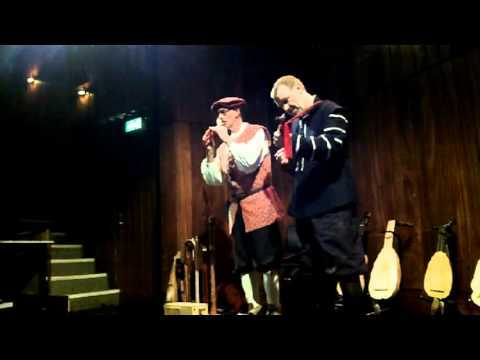 From The Night Watch's show, 'Drive the Cold Winter Away', Midlands Arts Centre (MAC), 7 December 2012. 'Holde thy peace' and 'Three merry men' are mentioned in Act 2, Scene 3 of William Shakespeare's 'Twelfth Night' (c.1600-1601), a scene which is full of music and musical references. 'Holde thy peace', a catch for three voices, first appeared in print in Thomas Ravenscroft's 'Deuteromelia', 1609. 'Twelfth Night' predates 'Deuteromelia' by nearly a decade and Ravenscroft would have been only 10 or 11 years old when 'Twelfth Night' was written. The words and music of 'Three merry men' are included in a 17th century common-place book, date unknown, in the handwriting of the same John Playford who compiled and published 'The Dancing Master'. The words of the song are also quoted in an anonymous tract of 1605 (by C.T. ), 'Laugh and Lie Down', and quoted or sung in many contemporaneous plays. There is only verse and it is not a catch or a canon, but we have made it one. 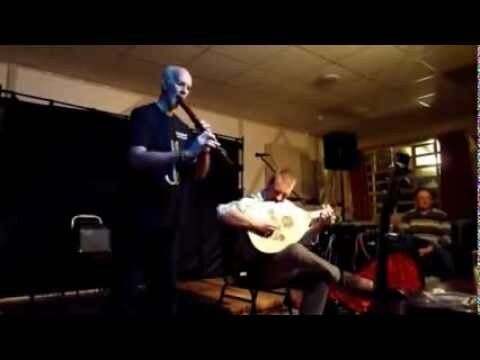 The Night Watch play Lamento di Tristano & La Rotta, recorded at The Woodman Folk Club. These paired anonymous dance tunes are from Italy, c.1390, in the Harley 29987 ms., now in the British Museum. It was common for dances of later eras to be paired, most notably the slow, elegant pavan and the lively, energetic galliard of the renaissance. 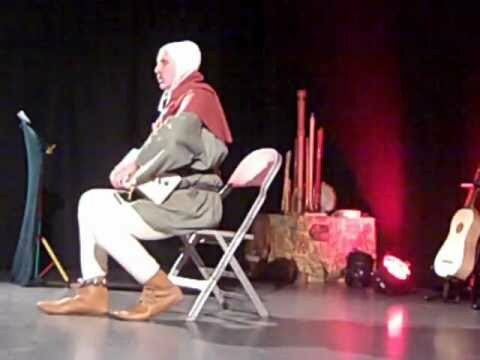 We don't know who the Tristano of the title was, but it is possible that it relates to the tragic story of Tristan and Isolde, which inspired much music over the centuries. The rotta is a mediaeval stringed instrument, a type of lyre which developed from the ancient Greek kithara or cithara. Examples of early rottas are found in miniatures from the 8th to the 14th century. An actual instrument was found in an Alamannic tomb in the Black Forest, dated 4th-7th century, now preserved in the Volker Museum, Berlin. 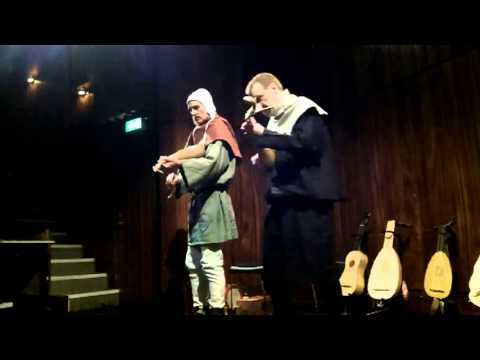 Extracts from Winter Winter, The Night Watch's sold-out show at The Artrix, Bromsgrove, on the theme of winter and Christmas early music. When that I was and a little tiny boy, sung by Feste in the epilogue to William Shakespeare's Twelfth Night. 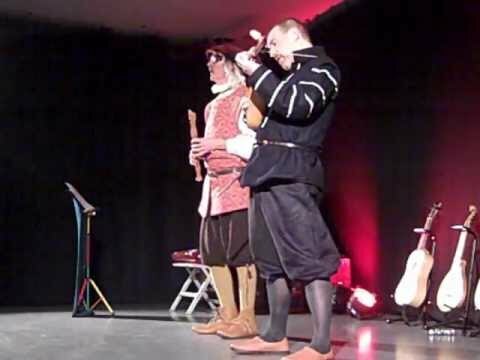 Performed on treble lute and bass recorder by The Night Watch, from Winter Winter, their sold-out show at The Artrix, Bromsgrove, on the theme of winter and Christmas early music. Grene growith the holy (Green groweth the holly), attributed to Henry Tudor, Henry VIII of England, 1491-1547, reigned 1509-1547. 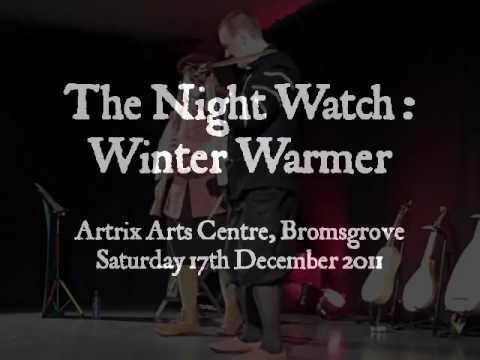 Performed on recorder and gittern by The Night Watch, from Winter Winter, their sold-out show at The Artrix, Bromsgrove, on the theme of winter and Christmas early music. 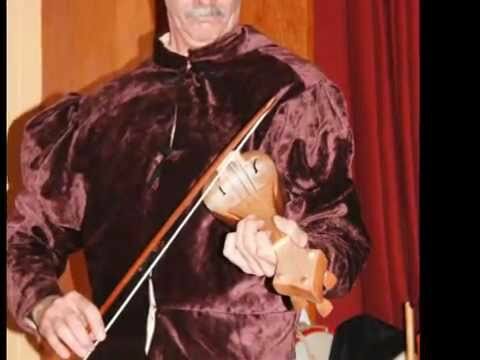 Genevieve Tudor's Sunday Folk programme on BBC Radio Shropshire, 3 April 2011: oud, cornamuse, gittern, gemshorn, with passing references to recorders and cittern. 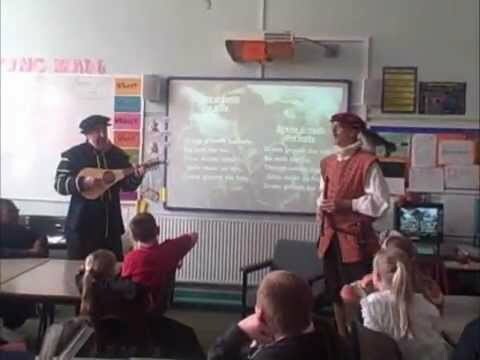 Promotional film (longer version*) for The Night Watch's school workshops in early music and history. 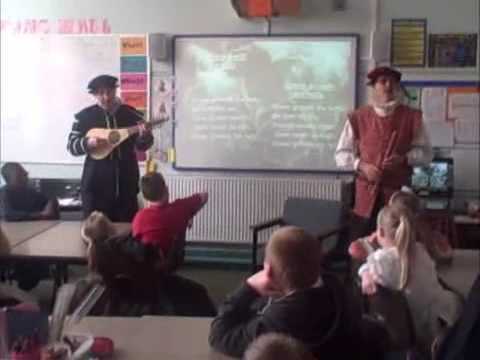 The school on the day of filming requested an emphasis on Tudor music, dance, and crime and punishment. * See our channel for shorter version. * See our channel for longer version. 'WEe be Souldiers three' was published by - and probably written by - collector and composer Thomas Ravenscroft, in his 'Deuteromelia' (1609). The French line, "pardona moy je vous an pree" (original spelling) means "pardon me, I pray you" or "pardon me, I beg you". The images in the video are from Ravenscroft's book.